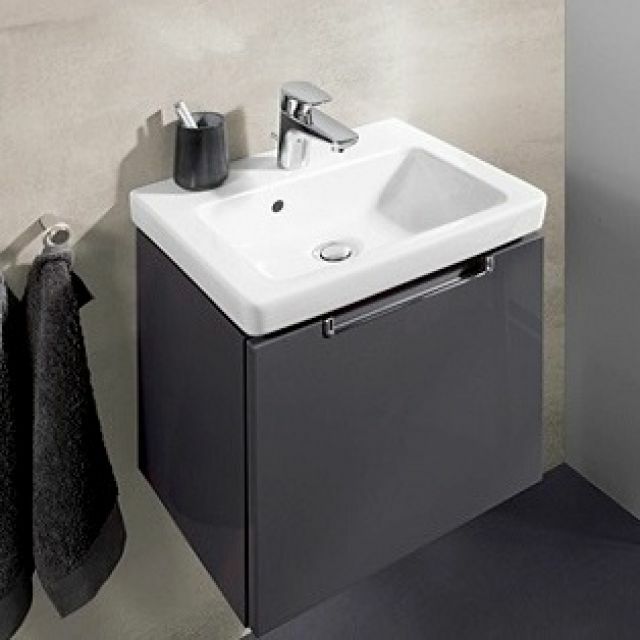 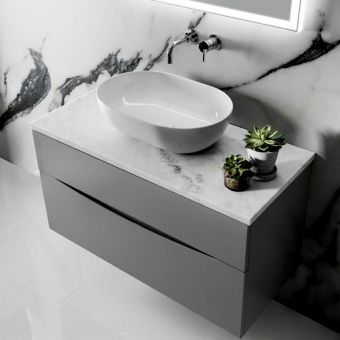 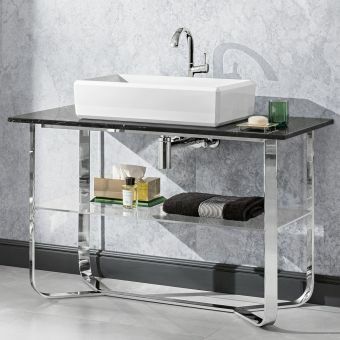 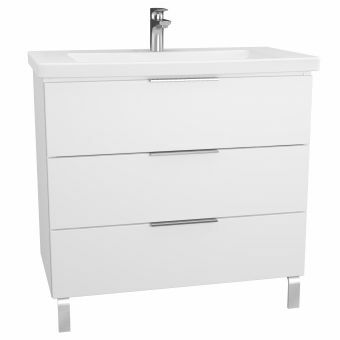 Providing a compact addition to the bathroom or en-suite, this vanity unit is the obvious choice for the designer who prizes a combination of sleek visuals and full functionality in one form. 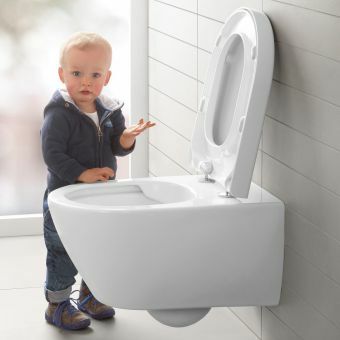 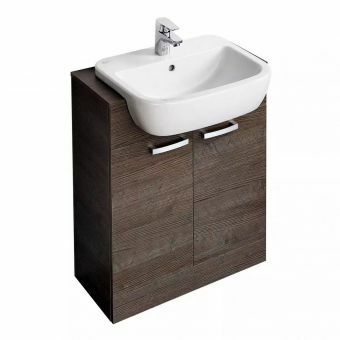 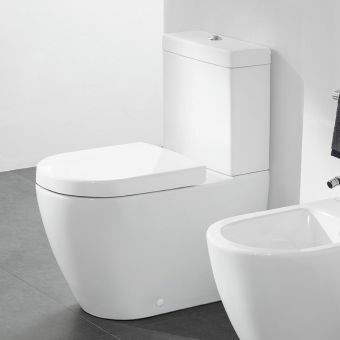 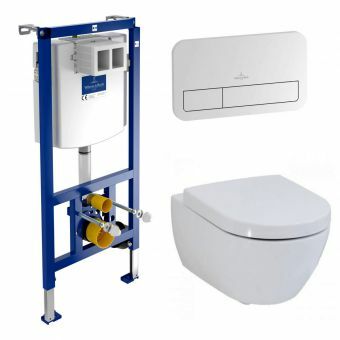 This wall-mounted unit is designed to be combined with its dedicated hand washbasin. 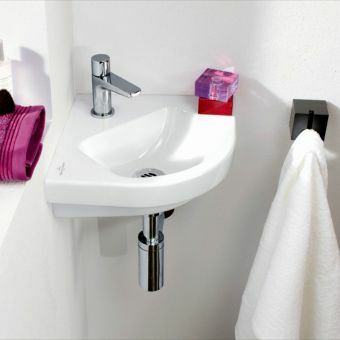 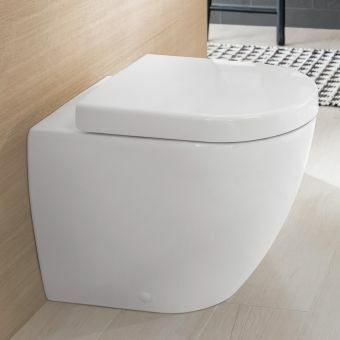 Its petite dimensions make it ideal for inclusion in the smaller bathroom area. 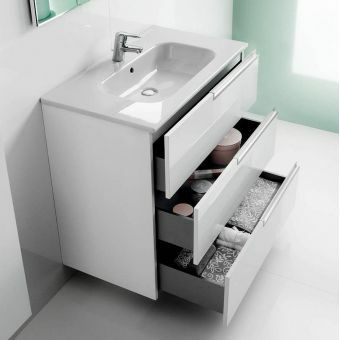 Sheer panels and bold lines characterise this unit, while the handle-free front compartment opens to reveal handy storage for essential products and accessories. 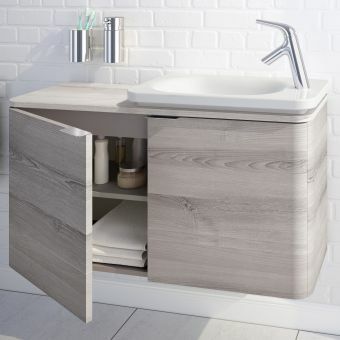 And this unit is as adaptable as it stylish, with colour options of Gloss White, Gloss Grey and Oak Graphite. 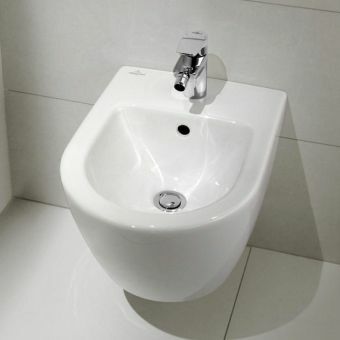 The handle is version 1 as standard. 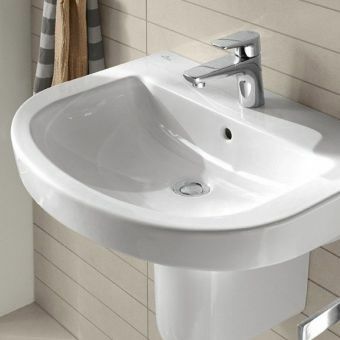 Basins are in the White Alpin Finish. 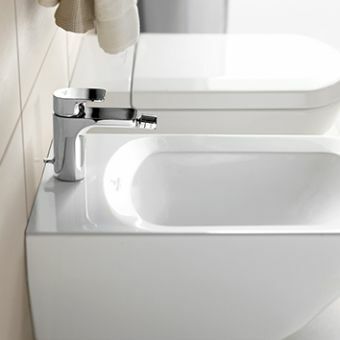 Additional colours, handles, sizes and basin options available on request.